When predicting the value of skills that students acquire at university, science, technology, engineering and maths subjects appear to have some advantages. Nuclear power, for instance, depends on highly trained nuclear engineers – or we all die. English graduates can become prime ministers and CEOs, but the link between disciplinary learning and career effectiveness is rather less direct. The British Academy is trying to do something about this, through a ‘flagship skills project’ titled ‘Celebrating Skills in the Arts, Humanities and Social Sciences’. 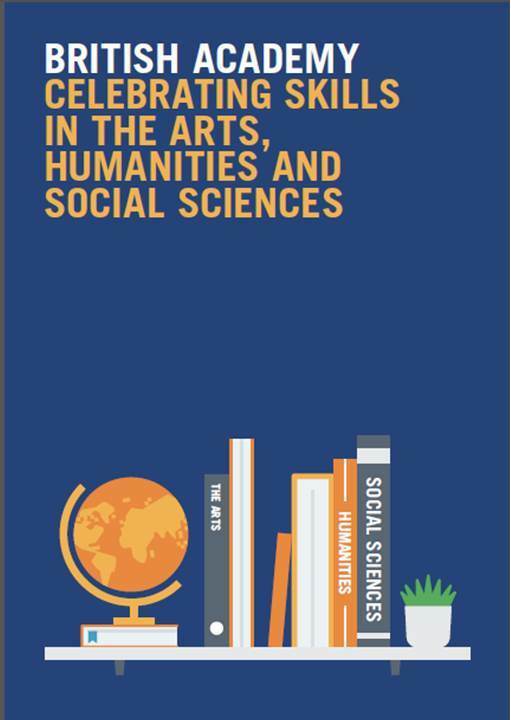 This is driven by a grand ambition: ‘to articulate the skills that are inherent to the study of arts, humanities and social sciences (AHSS), their value to the individual, and the contribution they do make and could make in future to society’. Utopian in some respects, the project nonetheless demands attention from everyone involved in these fields. Skills matter. It’s critical that those involved in higher education should be able to demonstrate the skills their students learn, and equally critical that graduates should be able to articulate the value of what they have learned. This matters in the undergraduate admission cycle, when potential students want to know where their degree – coming, as it does, at considerable cost – might take them. It also matters in terms of the Destination of Leavers from Higher Education survey, which in future will assess not just destinations but perceptions of the connection between learning and career success. In public discourse the skills debate has been monopolized by STEM advocates. We’re all familiar with the phenomenon of HASS-educated politicians asserting that the only degrees with any real value are STEM ones. HASS disciplines have been slow to rise to this challenge. Our lists of ‘transferable skills’, buried away on module descriptions, are copied and pasted from year to year without much reflection. Maybe some academics feel uneasy about a skills agenda; many surely lack confidence in the non-academic value of what they are teaching. As the document acknowledges, however, it’s easy enough to assert that HASS subjects teach these skills but another to be able to demonstrate it. And the question of whether we do it well is another question again. It would be great to have some hard evidence to support claims such as these. As much as I want to see the BA’s project succeed, I admit to a degree of scepticism. While the Academy can claim a measure of success in its previous, more focused work on quantitative skills and languages (not complete success by any means, given the seemingly unstoppable decline in language learning), this programme is of another degree of complexity altogether. If the ‘call for evidence’ document was a grant application, it has to be said that it wouldn’t get past peer reviewers. It makes the mistake of foreshadowing its findings before undertaking the research: this is a project, as the title proclaims, aiming to celebrate skills in the arts, humanities and social sciences. Its questions, meanwhile, are unnervingly broad and open-ended. Respondents are asked more than once whether they know of ‘any other evidence’, while at one point they are canvassed for advice on how this project might be done. We’re assured that this will all be processed in time for a final report in autumn 2017. I’ll believe that when I see it. I also fear that this project has not achieved the level of recognition that it deserves. There was no mention of it at the annual general meeting of my own subject association, University English, last week. Maybe the association executive members were overwhelmed by the bank of questions; more likely they (like me: sorry) simply had not been aware of the project. The deadline for responses has been extended once (to today, in fact), and maybe the process will need to be stretched again. If the people charged with leading this project can get a grip on it, this may still be a hugely valuable initiative. The call for evidence document alone is rich in its outline of the field; if this sense of purpose can be maintained, there’s cause for hope. There should be much to celebrate, once the evidence is gathered and analysed.